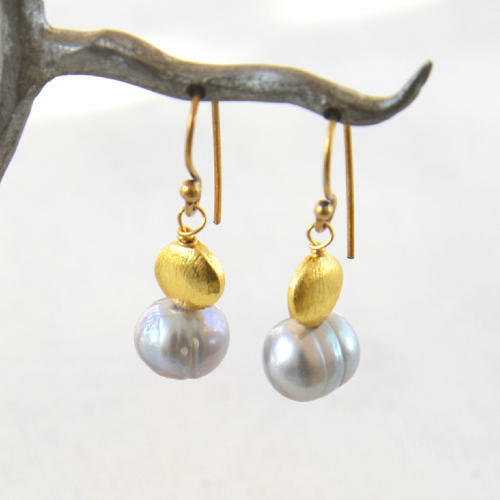 Gorgeous drop earrings with either a gold or silver plated nugget and freshwater pearl. Length 3cms. Hypoallergenic and nickel free. Designed and hand made in England.